You have no control over the location of your home, but its location helps determine value. You control this. The right price can only be determined by a well-researched market evaluation. As a homeseller, you should get a written or computerized market analysis comparing your home to similar properties that have recently sold and those currently on the market. You control this also. Your home’s condition is vital to a sale. 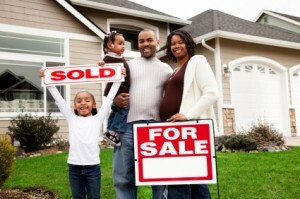 A clean, well-maintained home enjoys a competitive edge over all the other homes on the market. You’ll sell faster and at a higher price if you “stage” your home to enhance its appeal. Your REALTOR® advises you on market conditions, pricing and staging recommendations, contracting, financing, title work, appraising and closing activities. Just as you insist on an experienced well-prepared doctor to treat your family, you want a REALTOR® with a proven track record who does his homework representing you in the sale of your home. This is the reason so many people choose Phil McDermott.